Abstract: The redox state of mantle-derived basaltic magma is one of the key thermodynamic parameters controlling many basic geological processes. Methods commonly used to estimate redox state of basaltic magmas and its source rocks include valence state of multivalent elements, partition coefficient of multivalent elements, chemical equilibrium of coexisting mineral pairs and whole-rock chemical ratios. With the rapid development of petrological experiments and the advances in analytical techniques, it is possible to accurately estimate the oxygen fugacity of mantle-derived basaltic magma and source rocks. This has greatly promoted the studies on composition of mantle source, evolutional history of partial melting, differentiation of mantle-derived basaltic magma, genesis of magmatic deposits, and metallogenic processes. The variable redox state of the mantle-derived magma is not only related to the tectonic settings, but also closely related to the mantle depth (pressure), metasomatism, and partial melting. 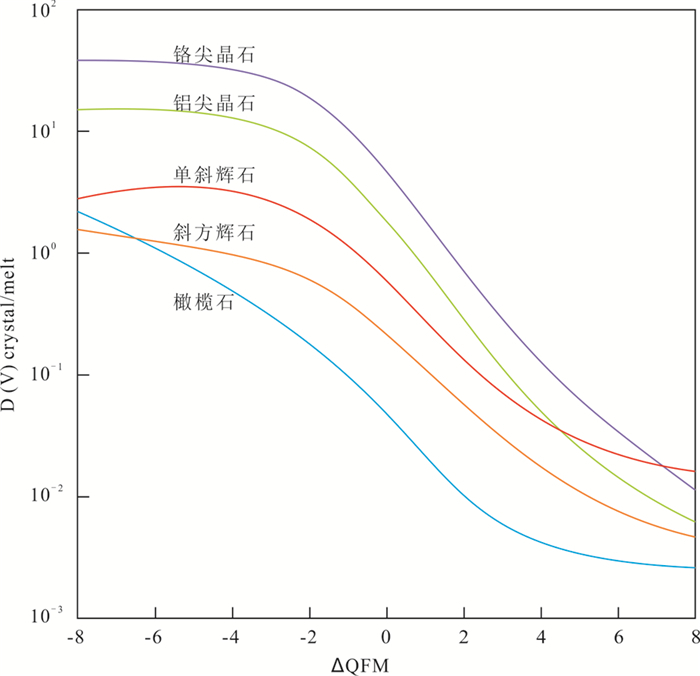 Fractional crystallization, degassing and contamination of the magma can also change the oxygen fugacity of the magma in variable degrees at the shallow crust. Therefore, the mantle-derived magma exhibits variable oxygen fugacity even from the same geodynamic background. The oxygen fugacity of mantle-derived magma exerts critical controls on geochemical behavior of metals (e.g., PGE, Au, Cu) during partial melting of the source region, magma differentiation trends, relative saturation time of Fe-Ti-V oxide and its V content, and sulfur solubility in the magma. Thus, the ore-forming processes of Fe-Ti-V oxide deposits and Ni-Cu-(PGE) sulfide deposits are significantly influenced by the oxygen fugacity of magma. Arndt NT, Czamanske GK, Walker RJ, Chauvel C and Fedorenko VA. 2003. Geochemistry and origin of the intrusive hosts of the Noril'sk-Talnakh Cu-Ni-PGE sulfide deposits. Economic Geology, 98(3): 495-515. Bowen NL. 1928. The Evolution of the Igneous Rocks. Princeton: Princeton University Press. Creighton S, Stachel T, Matveev S, Höfer H, McCammon C and Luth RW. 2008. Oxidation of the Kaapvaal lithospheric mantle driven by metasomatism. Contributions to Mineralogy and Petrology, 157(4): 491-504. Fenner CN. 1929. The crystallization of basalts. American Journal of Science, 18(105): 225-253. Frost BR, Lindsley DH and Andersen DJ. 1988. Fe-Ti oxide-silicate equilibrium:Assemblages with fayalitic olivine. American Mineralogist, 73(7-8): 727-740. Frost BR and Lindsley DH. 1992. 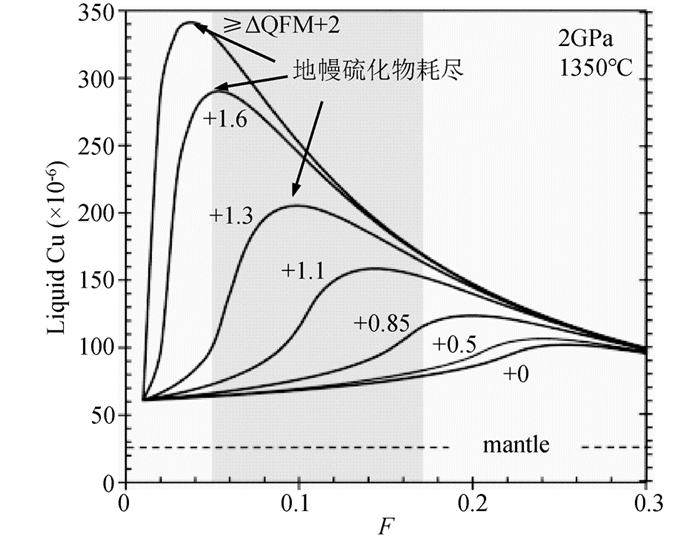 Equilibria among Fe-Ti oxides, pyroxenes, olivine, and quartz:Part Ⅱ. Application. American Mineralogist, 77(9-10): 1004-1020. Karner JM, Papike JJ, Sutton SR, Shearer CK, Burger P, McKay G and Le L. 2008. Valence state partitioning of V between pyroxene-melt:Effects of pyroxene and melt composition, and direct determination of V valence states by XANES. Application to Martian basalt QUE 94201 composition. Meteoritics & Planetary Science, 43(8): 1275-1285. Lai SC and Zhou TZ. 1993. Study on the oxygen fugacity of magmas and its advance. Qinghai Geology, 2(2): 64-69. Lazarov M, Woodland AB and Brey GP. 2009. Thermal state and redox conditions of the Kaapvaal mantle:A study of xenoliths from the Finsch mine, South Africa. Lithos, 112(Suppl. 2): 913-923. Lindsley DH and Frost BR. 1992. "Equilibria among Fe-Ti oxides, pyroxenes, olivine, and quartz; Part Ⅰ, Theory.". American Mineralogist, 77(9-10): 987-1003. Liu CQ, Li HP, Huang ZL and Su GL. 2001. 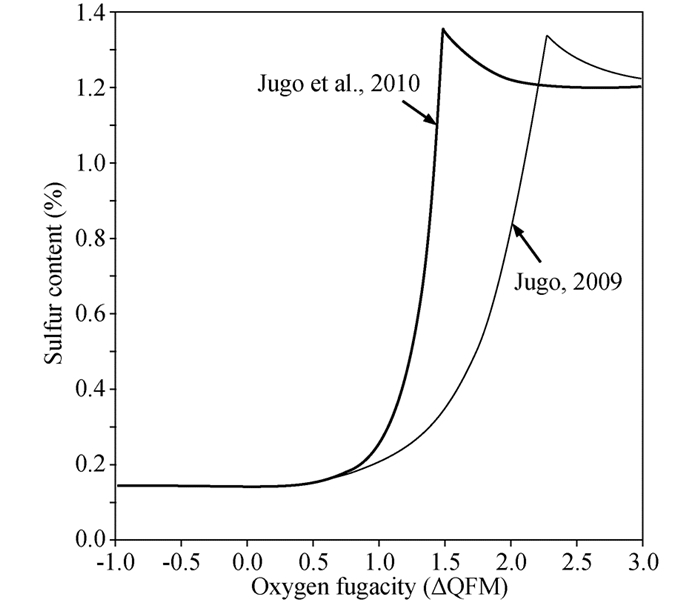 A review of studies on oxygen fugacity of the earth mantle. Earth Science Frontiers, 8(3): 73-82. Molyneux TG. 1974. A geological investigation of the Bushveld Complex in Sekhukhuneland and part of the Steelpoort Valley. South African Journal of Geology, 77(3): 329-338. Pang KN, Zhou MF, Lindsley D, Zhao DG and Malpas J. 2008. Origin of Fe-Ti oxide ores in mafic intrusions:Evidence from the panzhihua intrusion, SW China. Journal of Petrology, 49(2): 295-313. Thakurta J, Ripley EM and Li C. 2008. Geochemical constraints on the origin of sulfide mineralization in the Duke Island Complex, southeastern Alaska. Geochemistry, Geophysics, Geosystems, 9(7): Q07003. Wang Y, Wang K, Xing CM, Wei B, Dong H and Cao YH. 2017. Metallogenic diversity related to the late Middle Permian Emeishan large igneous province. Bulletin of Mineralogy, Petrology and Geochemistry, 36(3): 404-417. Wood BJ. 1991. Oxygen barometry of spinel peridotites. Reviews in Mineralogy and Geochemistry, 25(1): 417-432. Xu YG, Wang Y, Wei X and He B. 2013. Mantle plume-related mineralization and their principal controlling factors. Acta Petrologica Sinica, 29(10): 3307-3322. Yu XH. 1990. An introduction to research on mantle redox state and its oxygen fugacity. Geological Science and Technology Information, 9(4): 25-29. 赖绍聪, 周天祯. 1993. 岩浆氧逸度及其研究进展. 青海地质, 2(2): 64-69. 徐义刚, 王焰, 位荀, 何斌. 2013. 与地幔柱有关的成矿作用及其主控因素. 岩石学报, 29(10): 3307-3322. 喻学惠. 1990. 地幔氧化状态和氧逸度简介. 地质科技情报, 9(4): 25-29.